For many kids, lunchtime at school is a welcome respite to the day, a time to relax and laugh with friends until it’s time to trudge off to class again. But for students who are bullied or feel ostracized, it can often be the most stressful part of going to school every day. For its part, Capri Sun has come up with an invention of sorts that it hopes will make kids think twice next time they see someone searching for a seat in the school cafeteria. In partnership with nonprofit No Bully, the fruit juice brand has created a giant S-shaped “Together Table” that has dozens of seats, in turn making it difficult for any one clique or group to monopolize it. The idea is that the table would foster a more inclusive environment for students who might feel left out. 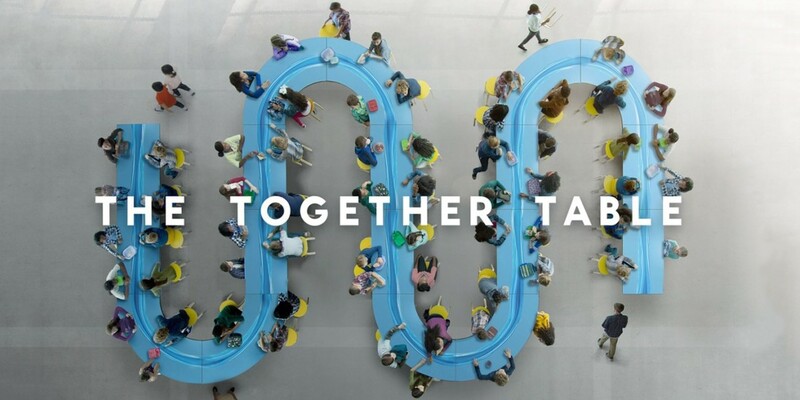 The Kraft Heinz-owned brand has created a minute-long video to promote the “Together Table,” which will make a live appearance at the National Mall in Washington, D.C. on Oct. 17. Kids who pass by the table will be invited to sign it as part of a #SitTogether pledge. The campaign was created with help from Leo Burnett and Huge. According to Capri Sun, the idea for the table stemmed from research that says 160,000 students skip school every day due to fear of bullying and exclusion (although the validity of this statistic has been questioned). The effort coincides with National Bullying Prevention Month. Capri Sun is donating $160,000—or $1 for each student who skips school—to No Bully to help the nonprofit achieve its mission of ending the crisis of bullying in schools and online. According to No Bully, it has worked with 326 schools and more than 200,000 students since it was founded in 2003. The nonprofit worked with Burger King last year on the chain’s viral in-store stunt that captured customer reactions to both actual bullies and “bullied” burgers.